Tuesdays are my days for posting new videos and making special announcements. Honestly, between election primaries and traveling to my many destinations while it was raining ‘cats and dogs’, I didn’t meet my video deadline. Over 15 years ago there was a period in my life when I needed support in order to be able to deal with my unhealthy emotions about my brother’s death. Family or friends didn’t seem to understand the unbalanced feelings I was having; therefore, could not relate or help me. I was a college student and found it quite difficult to leave my bedroom to get dressed more less leave my apartment to go to class. Each day, I was growing more and more depressed. There seemed to be no breakthrough in my mood. Until one day, I was connected to an organization that I didn’t even know existed, the Depression and Bipolar Support Alliance (DBSA). They specialize in helping those living with mood disorders. One of the qualities that makes them unique is that they are peer-led. Now, I do encourage utilizing the treatment of mental health physicians and DBSA is a professional organization in its field that does work with clinicians to provide the best resources and services to communities. This is greatly needed. However, there is also a pertinent need for their peer-based and advocacy services. You take the bold step to confide in them about your deepest hurt and fears and they begin to treat you like fragile glass. They engage with you in conversations differently and have that look of disappointment every time you see them. While you’re thinking, I know I feel like the worst person ever, but am I really? Family and friends do care. But they can’t always deal with our ‘weaknesses’. Everyone encounters weak moments or have areas in their lives that they find challenging. But not everyone is able to accept others just as they are. When you connect with those that have experienced what you have or currently experiencing what you are experiencing, it gives you comfort and relief so you don’t feel the need to pretend or worry about being judged or criticized. This is what DBSA did for me years ago. And later on when I became a mental health advocate, they gave me the tools and support to do so. I was empowered by others that knew what it felt like to want to remain in isolation from the world. Those that knew why it wasn’t easy for me to just “move on” with my life after having a frozen image of my brother lying in a casket with an imprint from a self-inflicted gunshot. 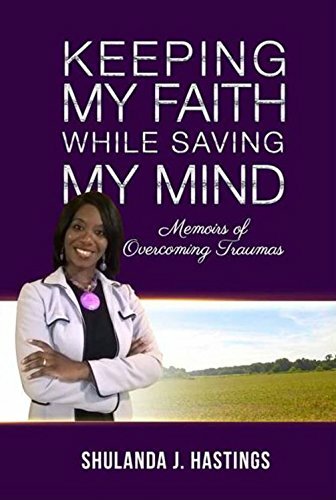 I was empowered to bring a voice to my own silent fears and gain the strength not to be silenced or ashamed by anyone who felt they couldn’t understand my emotions; therefore, chose to treat me as an embarrassment or inconvenient obstacle in their day. You too have probably had a similar experience. Many are still experiencing the stigma associated with mental health challenges. But it only takes one person willing to take a step and be the difference. This is why I am excited about the new chapter of DBSA that serves the DeSoto County, Mississippi area, as well as, Memphis, Tennessee; to DBSA Spirit Realm DeSoto County. And as the organization’s president, I look forward to furthering my mission to break mental health barriers. Some of our services include support groups, educational programs, resources and literature. I will definitely be blogging about our chapter, but if you or someone you know might benefit from our chapter, please do refer them to us at dbsaspiritrealm@gmail.com. MISSION- To provide hope, help, support, and education to improve the lives of people who have mood disorders. Posted on March 2, 2016 March 2, 2016 by Ambassador ShulandaPosted in Advocacy, Empowerment, Mental Health, UncategorizedTagged advocacy, DBSA, depression, help, hope, mental health, mood disorders, spirit realm, suicidal thoughts, support groups. I would love to become an advocate but have no idea where to start. Can you offer some advice?? Mzred, thank you for your comment and inquiry. The world definitely needs more advocates! You have already taken the first step in advocacy; you acknowledge there is a need for it and are willing to be a voice. Congratulations, you are now an advocate! Continue to read articles and blogs, etc and share the information you learn along with any personal experiences in your general conversations. There are also several advocacy national organizations, some in which I’m affiliated with, that provide local chapters to help you with your advocacy efforts. Visit the American Foundation for Suicide Prevention (afsp.org) and the Depression and Bipolar Support Alliance (www.dbsaalliance.org) to help give you direction. Thanks for reading and more so deciding to become a mental health advocate!